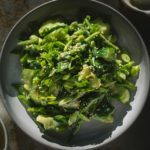 This smashed cucumber and green bean salad is crunchy, refreshing, and filled with miso boosting umami. 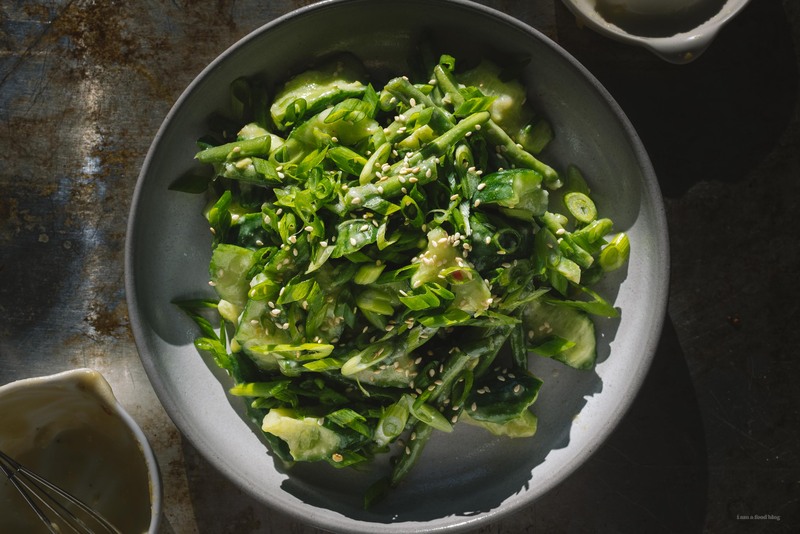 This is little riff off of the classic Chinese smashed garlic cucumber dish, but with a little bit of a Japanese twist due to the miso and rice vinegar. If you haven’t tried smashed cucumbers, give it a go! It sounds kind of funny, but I love the texture of smashed cucumbers – probably because they remind me of hot evening summers. 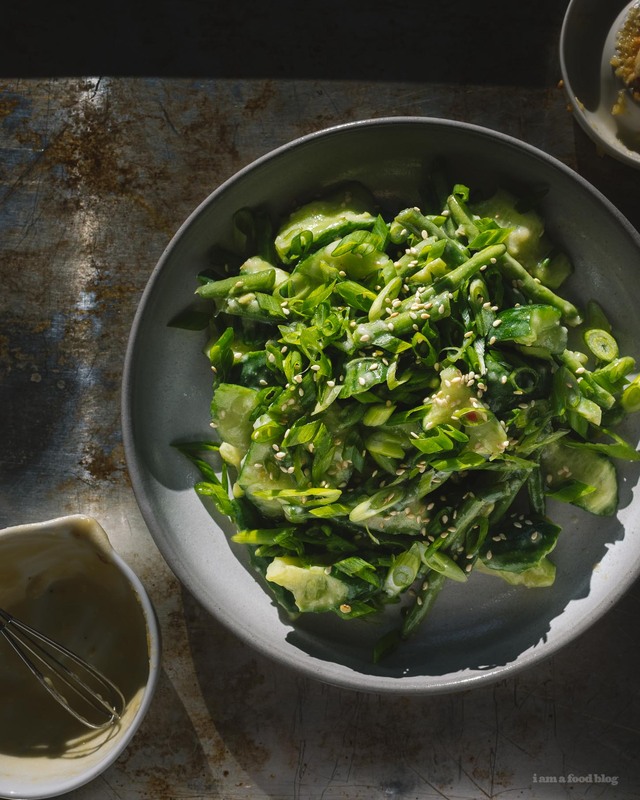 Smashed cucumbers are an incredibly popular Chinese cold dish, both because they’re easy to make and delicious. The green beans give this salad an extra bit of added heft and protein so it’s something that we’ll eat as a meal, when we’re fiending for veggies. Lightly smash cucumbers with a rolling pin and tear into bite size pieces. Toss with a pinch of salt, in a bowl and let sit. While the cucumbers are salting, whisk together the dressing until smooth. Place the green beans in a ziplock bag and lightly smash until beans are split and bruised. Either add the dressing to the bag and shake to coat well, or place beans in a large bowl with the dressing and toss to evenly coat. Drain the cucumbers and toss with the beans. Taste and adjust with salt, if needed. Transfer everything to a large plate or platter and top with sesame seeds and green onions. Use the green beans raw? they are raw, but you can blanch them if you want them cooked! yay! so happy you liked it :) this is a salad that totally tastes better the next day!